It has been analyzed that most of the local small businesses just perform the GMB listing and forgets about the website. What most of the small business owners fail to realize is that Google along with GMB listing offers a wide range of features that can be used to optimize the GMB listing and improve the ranking on Google searches. Competition in the local SERPs is getting tougher and it has become very much crucial for the business owners to work on their website optimization to stand out of the websites crowd. 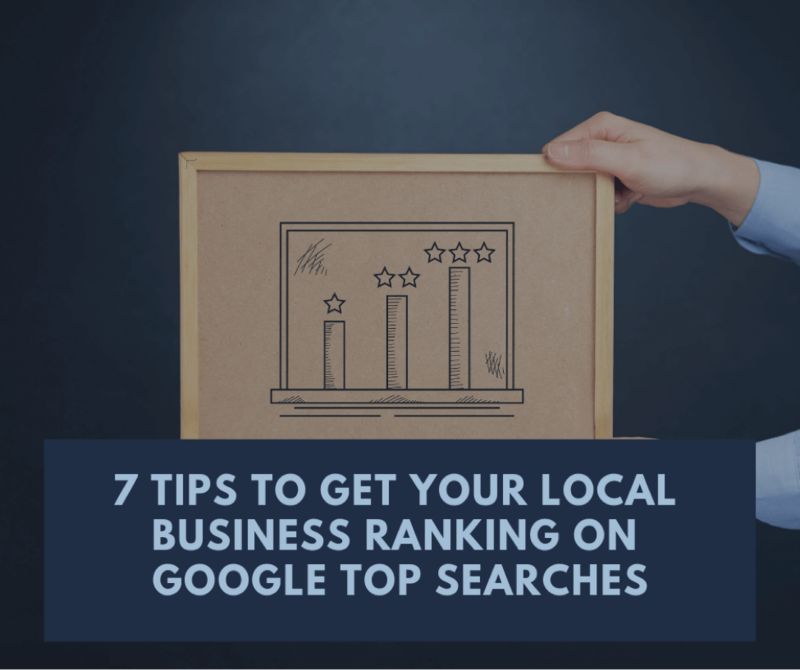 Unfortunately, most of the businesses don’t know from where to start when it comes to ranking at the top of Google search. Many of them think that either just listing the business will help them to gain the results or only some special businesses achieve the ranking on the top of searches. But the reality is that any business can reach the top of results but it depends on the efforts made, techniques used according to the present competition. Many businesses are not able to rank on the top of Google searches. There are many factors responsible but the headline is a major one. Writing clear and concise headlines is very important as these summarize the content followed. Furthermore, website content is the way to achieve ranking on top searches. Like adding the customer testimonials on the website improves the rankings, is a great way to engage the audience, and build trustworthy relationships. So, using the content for ranking, testimonials for audience engagement, and newsletters marketing for nurturing the relationships can do wonders for a website. Looking for the keywords that are relevant to the business is also essential. So, don’t skimp on the keyword research as it is probably the most important factor influencing the ranking of a website. Quality backlinks have a huge impact on SEO as well as helps in the engagement of the audience and let them know about the business. Creating citations, social bookmarking, business listings are very advantageous for one’s website. But keep in mind, that quantity does not matter but quality does. Ensure creating quality backlink that is active. Also, do the analysis in routine to check whether the backlink is active, broken, or suspended as backlinks are very impactful in raising the ranking on Google searches especially when you are targeting local SEO solutions. Making the use of voice search for a website can reduce the hassles for small business owners in improving their website ranking. As the ratio of voice searches per month has increased from the last few years and the number will continue to grow in coming years also. So, optimizing the website with voice search can give an edge to the marketing aspects of all small businesses. From Google to the users, everybody loves speed and expects faster delivery of results to their search queries. But this is only possible if the website is optimized perfectly and the proper use of AMP is carried out. AMP is a page structure that makes the website pages load faster and smoothly which is a winning point for any business. So, ensuring that website loads faster can make a huge difference in the rankings. Google My Business should be a focal point of every small business owners. Adding the accurate name, address, and phone number of the business is essential as consistency of NAP plays a very significant role in the improvement of website ranking. Moreover, a verified and optimized GMB profile can make way to the top search results. So, the more information and visuals will be provided, the more likely people are going to interact and contact the business. It is very important for the small business owners to spend some time in understanding the audience and their intent. Even if the website is optimized perfectly there are no chances of gaining the traffic if it’s being done for the wrong audience. Even Google prefers the user requirement and takes the websites on the top in searches that offer relevant information related to the query. The local business owners can use the updates like Rankbrain to understand the search query and is related to which business. So, it becomes vital to provide the relevant answers to the user’s question to rank organically high in Google. Quality reviews are one of the most important factors that have a direct impact on the ranking of the website. Having Google reviews on the website is a trend that has been jumping up every year and is considered to be the most helpful factor in ranking the website at the top. As on the basis of reviews and ratings only, people get influenced and takes an interest in knowing the business. So, the more quality reviews will be on site, the more people will get attracted towards the business having a solid impact of website rankings. More than these, the business owners need to set goals they can accomplish. Getting at the top of Google within a day or two is a myth but focusing on audience engagement can ultimately pay off in rankings. However, one can put their time in finding the most reliable search optimization strategy by comparing local SEO services pricing and attain an effective online business exposure plan.